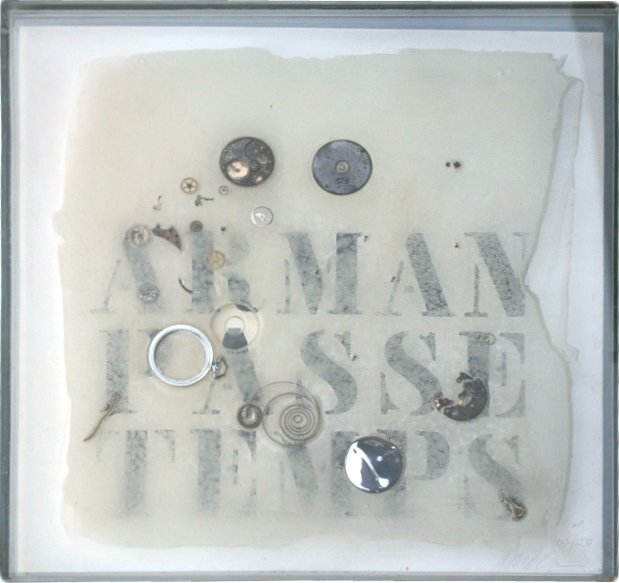 Multiple with watch parts in plexiglass and book. The multiple and the book full of lithographs are both numbered and signed. Edition: 150 ex.